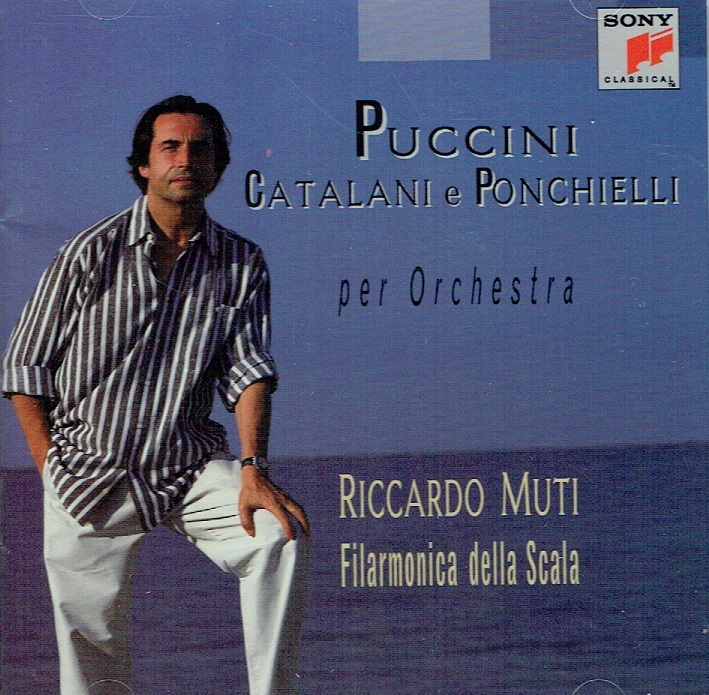 “Interest in the nonoperatic scores of Puccini, Catalani and Ponchielli may not be high, but that knowledge hasn't stopped Riccardo Muti and Sony from devoting an album to such music. And indeed, the works here have appeal. Sure, Amilcare Ponchielli's expectedly slow-moving ‘Elegia'’ sounds like any number of Italian opera intermezzos, but the Filarmonica della Scala, under Mr. Muti's baton, plays it lushly and colorfully. 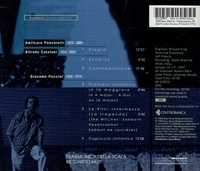 Two works by Alfredo Catalani follow: Scherzo, coupling humor with attractive Classical elements, and ‘Contemplazione’, cloaking contrived earnestness in a Wagnerian style. 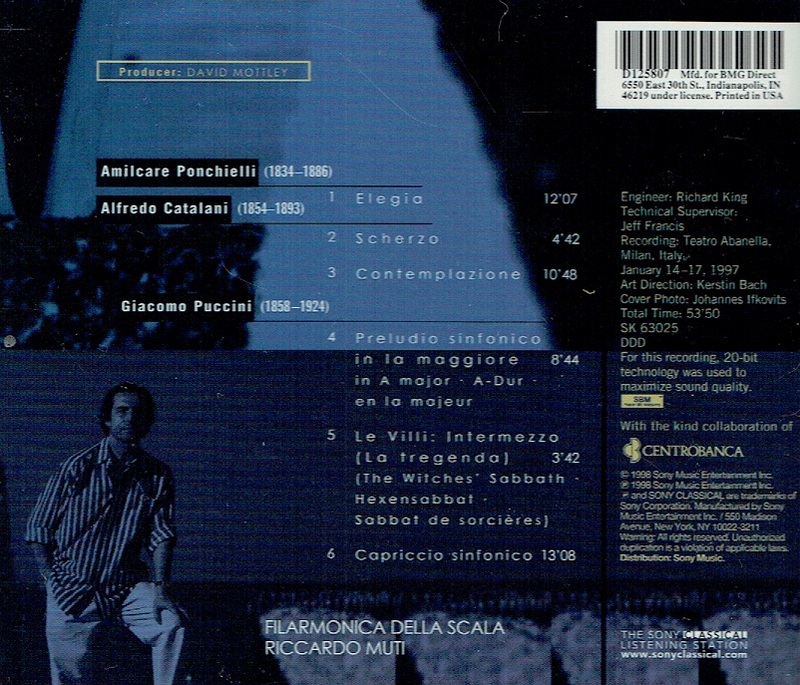 “Born in Naples Italy in 1941, Riccardo Muti was a pupil of Arturo Votti and Nino Rota. Votti's teacher was none other than the great Arturo Toscanini. With this rich heritage of great conductors and creators of music, the young Maestro Muti had much to live up to. Many awards, recordings, and directorships later, I would say Riccardo Muti has done the tradition he was steeped in proudly.